Short hairpin RNAs (shRNAs) expressed from vectors have been used as an effective means of exploiting the RNA interference (RNAi) pathway in mammalian cells. Of several methods to express shRNA, a method of transcribing shRNAs embedded in microRNA precursors has been more widely used than the one that directly expresses shRNA from RNA polymerase III promoters because the microRNA precursor form of shRNA is known to cause lower levels of cytotoxicity and off-target effects than the overexpressed shRNAs from the RNA polymerase III promoters. We study the primary sequence features of microRNA precursors, which enhance their processing into mature form, helps design more potent shRNA precursors embedded in microRNA precursors. We measure the enhancement of gene knockdown efficiency by adding CNNC motifs in the 3′ flanking region of shRNA precursor embedded in the human miR-30a microRNA precursor. By systemically adding three CNNC motifs in the 3′ flanking region of shRNA precursor, we found that addition of two CNNC motifs saturates their enhanced knockdown ability of shRNA and that the CNNC motif in the + 17 to + 20 from the drosha cleavage site is most important for the shRNA-mediated target gene knock down. We also did see little knockdown of target gene expression by the shRNA precursor lacking CNNC motif. 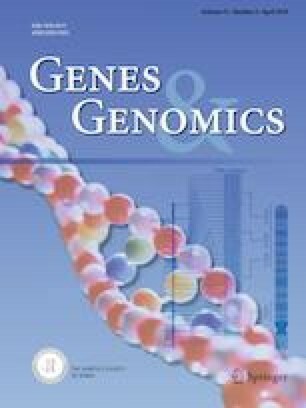 Since genetic studies generally require techniques that could reduce gene expression at different degrees, the findings in this study will allow us to use RNAi for genetic studies of reducing gene expression at different degrees. This work was supported by the SGER Program through the NRF by the Ministry of Education to Y. Kee (Grant Number NRF-2015R1D1A1A02060346); Basic Science Research Program through the NRF by the Ministry of Education (Grant Number NRF-2015R1D1A3A01015641), the grant from the National R&D Program for Cancer Control, Ministry of Health & Welfare, Republic of Korea (Grant Number HA17C0035), and 2015 Research Grant from Kangwon National University to B.J. Hwang.